Patricia A. (Patti) Husic, President and CEO of Centric Financial Corporation and Centric Bank has been elected to a three-year term on the American Bankers Association Board of Directors. The new board members were announced Tuesday, October 18, during the association’s Annual Convention in Nashville, Tenn.
Centric Bank President and CEO Patricia A. (Patti) Husic has been named to the American Bankers Association Board of Directors. For U.S. corporate boards, women have stalled at 19% representation, and I’m honored to serve and privileged to have this responsibility to open doors and advance women across industries to find their seats at the governance table. ABA’s board is the association’s governing body between annual conventions and is comprised of CEOs from banks of all sizes. As one of only 13 female bank CEO s in the Commonwealth of Pennsylvania, Patti’s leadership and influence sends a clear message to younger women in banking and women in business that a C-suite position—and seats at national board tables—are attainable. Women comprise 60% of Centric Bank’s workforce, a statistic not unusual in the banking world. But at Centric, three out of four of the corporate officers are women. It’s a milestone year for Patti Husic and Centric Bank. Earlier this month, Centric Bank was named a Top Team in American Banker’s 25 Most Powerful Women in Banking 2016, an exclamation point to Husic’s intentional advancement of high-achieving women. Husic herself ascended to #17 in the Most Powerful Women in Banking list. Husic founded the PA Bankers Women in Banking (WIB) Advisory Committee in 2012 and is its Chair and Conference Committee organizer. She has attracted national and statewide attention with this initiative, which launched the inaugural conference in 2014. She is a Past Chair of the Board of Pennsylvania Bankers Association, the third-largest banking association in the nation, and only the third woman in 121 years to chair. As a member of the ABA's Community Bankers Council, she strategizes on government relations issues, banking trends, and competitive priorities. 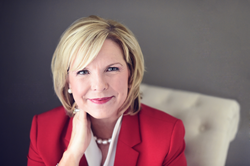 Husic is a member of the ABA Communications Council, and has been a panelist and speaker at the ABA Annual Convention on Relationship Banking, the 2016 Women in Banking Leadership Symposium, co-hosted by the South Carolina and North Carolina Bankers Associations, as well as presented at two of PA Bankers’ prestigious banking schools—the Advanced School of Banking and the Commercial School of Lending. With every executive advancement, Husic increases her service to others to ensure that younger female bankers and high potential employees benefit from her experience and journey. She also served on the Executive Women's Leadership Panel for ABA and participated as a panelist on the Mentor Factor in New York City. Husic kicked off the Red Couch Series as Chair of the 2017 Go Red for Women. She is a Circle of Red Member and serves on the Holy Spirit Hospital Board of Trustees. Awarded Business Diversity Champion of the Year by the Harrisburg Regional Chamber & CREDC, and selected Business Woman of the Year by the Business Women’s Forum of central Pennsylvania, Husic is not only an influencer in her community, she’s also renown in Pennsylvania banking. Centric Bank is headquartered in Harrisburg, Pennsylvania, with offices in suburban Philadelphia, Lancaster, Mechanicsburg, Hershey, and Camp Hill. It is one of the few publicly traded banking companies with women in both the chief executive and chief financial officer roles. The American Bankers Association is the voice of the nation’s $16 trillion banking industry, which is composed of small, regional and large banks that together employ more than 2 million people, safeguard $12 trillion in deposits and extend more than $8 trillion in loans. The association provides educational benefits and programs for its members, represents the industry in Washington and speaks on behalf of the industry in the press. A three-time Best Places to Work and Top 50 Fastest-Growing Companies for four years, Centric Bank is headquartered in south central Pennsylvania with assets of $464 million and remains the leader in organic loan growth in central Pennsylvania. A locally owned, locally loaned community bank, Centric Bank provides highly competitive and pro-growth financial services to businesses, professionals, individuals, families, and the health care and agricultural industries. With a Five-Star Bauer Financial Rating, Centric Bank is also ranked #1 in approved SBA 7(a) loans in the Eastern District as of September 30, 2016, which comprises 40 out of 67 counties in the Commonwealth. Centric Bank is also a Top 20 Lender for SBA Loans in the Philadelphia Region. Founded in 2007, Pennsylvania-based Centric Bank has financial centers located in Harrisburg, Hershey, Mechanicsburg, and Camp Hill, and loan production offices in Lancaster and suburban Philadelphia. To learn more about Centric Bank, call 717.657.7727 or visit CentricBank.com. Connect with them on Twitter at @CentricBank and Facebook at Centric Bank.